The Baikonur Cosmodrome (Russian: Космодро́м Байкону́р, translit. Kosmodrom Baykonur; Kazakh: Байқоңыр ғарыш айлағы, translit. Baıqońyr ǵarysh aılaǵy) is a spaceport located in an area of southern Kazakhstan leased to Russia. The Cosmodrome is the world's first and largest operational space launch facility. The spaceport is located in the desert steppe of Baikonur, about 200 kilometres (124 mi) east of the Aral Sea and north of the river Syr Darya. It is near the Tyuratam railway station and is about 90 metres (300 ft) above sea level. Baikonur cosmodrome and the city of Baikonur celebrated the 63rd anniversary of the foundation on June 2, 2018. The spaceport is currently leased by the Kazakh Government to Russia until 2050, and is managed jointly by the Roscosmos State Corporation and the Russian Aerospace Forces. The shape of the area leased is an ellipse, measuring 90 kilometres (56 mi) east–west by 85 kilometres (53 mi) north–south, with the cosmodrome at the centre. It was originally built by the Soviet Union in the late 1950s as the base of operations for the Soviet space program. Under the current Russian space program, Baikonur remains a busy spaceport, with numerous commercial, military, and scientific missions being launched annually. All crewed Russian spaceflights are launched from Baikonur. Both Sputnik 1, the first artificial satellite, and Vostok 1, the first human spaceflight, were launched from Baikonur. The launch pad used for both missions was renamed Gagarin's Start in honor of Russian Soviet cosmonaut Yuri Gagarin, pilot of Vostok 1 and first human in space. The Soviet government issued the decree for Scientific Research Test Range No. 5 (NIIP-5; Russian: Nauchno-Issledovatel’skii Ispytatel’nyi Poligon N.5) on 12 February 1955. It was actually founded on 2 June 1955, originally a test center for the world's first intercontinental ballistic missile (ICBM), the R-7 Semyorka. NIIP-5 was soon expanded to include launch facilities for space flights. The site was selected by a commission led by General Vasily Voznyuk, influenced by Sergey Korolyov, the Chief Designer of the R-7 ICBM, and soon the man behind the Soviet space program. It had to be surrounded by plains, as the radio control system of the rocket required (at the time) receiving uninterrupted signals from ground stations hundreds of kilometres away. Additionally, the missile trajectory had to be away from populated areas. Also, it is advantageous to place space launch sites closer to the equator, as the surface of the Earth has higher rotational speed in such areas. Taking these constraints into consideration, the commission chose Tyuratam, a village in the heart of the Kazakh Steppe. The expense of constructing the launch facilities and the several hundred kilometres of new road and train lines made the Cosmodrome one of the most costly infrastructure projects undertaken by the Soviets. A supporting town was built around the facility to provide housing, schools and infrastructure for workers. It was raised to city status in 1966 and named Leninsk. The American U-2 high-altitude reconnaissance plane found and photographed the Tyuratam missile test range for the first time on 5 August 1957. There are conflicting sources about origins of the name Baikonur. Some sources say that it was not until 1961 (i.e. until Gagarin's flight), when the name was deliberately chosen to misdirect the Western Bloc to a place about 320 kilometres (199 mi) northeast of the launch center, the small mining town of Baikonur near Jezkazgan. Other sources state that Baikonur was name of the Tyuratam region even before the cosmodrome existed. The main cosmodrome-supporting town Leninsk was renamed to Baikonur on 20 December 1995 by Boris Yeltsin. Russian scientist Afanasiy Ilich Tobonov researched mass animal deaths in the 1990s and concluded that the mass deaths of birds and wildlife in the Sakha Republic were noted only along the flight paths of space rockets launched from the Baikonur cosmodrome. Dead wildlife and livestock were usually incinerated, and the participants in these incinerations, including Tobonov himself, his brothers and inhabitants of his native village of Eliptyan, commonly died from stroke or cancer. In 1997, the Ministry of Defense of the Russian Federation changed the flight path and removed the ejected rocket stages near Nyurbinsky District, Russia. Scientific literature collected data that indicated adverse effects of rockets on the environment and the health of the population. UDMH, a fuel used in Russian rocket engines, is highly toxic. It is one of the reasons for acid rains and cancers in the local population, near the cosmodrome. Valery Yakovlev, a head of the laboratory of ecosystem research of the State scientific-production union of applied ecology "Kazmechanobr", notes: "Scientists have established the extreme character of destructive influence of "Baikonur" space center on environment and population of the region: 11 000 tons of space scrap metal, polluted by especially toxic UDMH is still laying on the falling grounds." Scrap recovery is part of the local economy. Many historic flights lifted off from Baikonur: the first operational ICBM; the first man-made satellite, Sputnik 1, on 4 October 1957; the first spacecraft to travel close to the Moon, Luna 1, on 2 January 1959; the first manned and orbital flight by Yuri Gagarin on 12 April 1961; and the flight of the first woman in space, Valentina Tereshkova, in 1963. 14 cosmonauts of 13 other nations, such as Czechoslovakia, East Germany, India and France, started their journeys from here as well under the Interkosmos program. In 1960, a prototype R-16 ICBM exploded before launch, killing over 100 people. Baikonur is also the site where Venera 9 and Mars 3 were launched from. Following the dissolution of the Soviet Union in 1991, the Russian space program continued to operate from Baikonur under the auspices of the Commonwealth of Independent States. Russia wanted to sign a 99-year lease for Baikonur, but agreed to a $115 million annual lease of the site for 20 years with an option for a 10-year extension. On 8 June 2005, the Russian Federation Council ratified an agreement between Russia and Kazakhstan extending Russia's rent term of the spaceport until 2050. The rent price—which remained fixed at US$115,000,000 per year – is the source of a long-running dispute between the two countries. In an attempt to reduce its dependency on Baikonur, Russia is constructing the Vostochny Cosmodrome in Amur Oblast. Following the conclusion of the Space Shuttle program, Russian spacecraft are now the only means by which astronauts can travel to the International Space Station, making Baikonur the sole launch site used for manned missions to the International Space Station. Baikonur is fully equipped with facilities for launching both manned and unmanned spacecraft. It supports several generations of Russian spacecraft: Soyuz, Proton, Tsyklon, Dnepr, Zenit and Buran. During the temporary lapse of the United States' Space Shuttle program after the Columbia Disaster in 2003 it played an essential role in operating and resupplying of the International Space Station (ISS) with Soyuz and Progress spacecraft. Its high latitude of 46° N required the high orbital inclination of the ISS. Downrange from the launchpad, spent launch equipment is dropped directly on the ground where it is salvaged by the workers and the local population. Site 110 – Used for the launch of the Buran-class orbiters. Like the assembly and processing hall at Site 112, the launch complex was originally constructed for the Soviet lunar landing program and later converted for the Energia-Buran program. Site 112 – Used for orbiter maintenance and to mate the orbiters to their Energia launchers (thus fulfilling a role similar to the VAB at KSC). The main hangar at the site, called MIK RN or MIK 112, was originally built for the assembly of the N1 moon rocket. After cancellation of the N-1 program in 1974, the facilities at Site 112 were converted for the Energia-Buran program. It was here that Orbiter K1 was stored after the end of the Buran program and was destroyed when the hangar roof collapsed in 2002. Site 251 – Used as Buran orbiter landing facility, also known as Yubileyniy Airfield (and fulfilling a role similar to the SLF at KSC). It features one runway, called 06/24, which is 4,500 metres (4,900 yd) long and 84 metres (92 yd) wide, paved with "Grade 600" high quality reinforced concrete. At the edge of the runway was a special mating–demating device, designed to lift an orbiter off its Antonov An-225 Mriya carrier aircraft and load it on a transporter, which would carry the orbiter to the processing building at Site 254. A purpose-built orbiter landing control facility, housed in a large multi-store office building, was located near the runway. Yubileyniy Airfield was also used to receive heavy transport planes carrying elements of the Energia-Buran system. After the end of the Buran program, Site 251 was abandoned but later reopened as a commercial cargo airport. Besides serving Baikonur, Kazakh authorities also use it for passenger and charter flights from Russia. Site 254 – Built to service the Buran-class orbiters between flights (thus fulfilling a role similar to the OPF at KSC). Constructed in the 1980s as a special four-bay building, it also featured a large processing area flanked by several floors of test rooms. After cancellation of the Buran program it was adapted for pre-launch operations of the Soyuz and Progress spacecraft. All Baikonur's logistics are based on its own intra-site 1,520 mm (4 ft 11 27⁄32 in) gauge railway network, which is the largest industrial railway on the planet. The railway is used for all stages of launch preparation, and all spacecraft are transported to the launchpads by the special Schnabel cars. Once part of the Soviet Railroad Troops, the Baikonur Railway is now served by a dedicated civilian state company. There are several rail links connecting the Baikonur Railway to the public railway of Kazakhstan and the rest of the world. The Baikonur Cosmodrome has two on-site multi-purpose airports, serving both the personnel transportation needs and the logistics of space launches (including the delivery of the spacecraft by planes). There are scheduled passenger services from Moscow to the smaller Krayniy Airport (IATA: BXY, ICAO: UAOL), which however are not accessible to the public. The larger Yubileyniy Airport (Юбилейный аэропорт) (ICAO: UAON) was where the Buran orbiter was transported to Baikonur on the back of the Antonov An-225 Mriya cargo aircraft. Although Baikonur has always been known around the world as the launch site of Soviet and Russian space missions, from its outset in 1955 and until the collapse of the USSR in 1991 the primary purpose of this center was to test liquid-fueled ballistic missiles. The official (and secret) name of the center was State Test Range No. 5 or 5 GIK. It remained under control of the Soviet and Russian Ministry of Defense until the second half of the 1990s, when the Russian civilian space agency and its industrial contractors started taking over individual facilities. 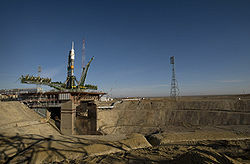 In 2006, the head of Roskosmos, Anatoly Perminov, said that the last Russian military personnel would be removed from the Baikonur facility by 2007. However, on 22 October 2008 an SS-19 Stiletto missile was test fired from Baikonur, indicating this may not be the case. On 22 December 2004, Kazakhstan and Russia signed a contract establishing the "Russia–Kazakhstan Baiterek JV" joint venture, in which each country holds a 50-percent stake. The goal of the project is the construction of the Bayterek ("poplar tree") space launch complex, to facilitate operations of the Russian Angara rocket launcher. This will allow launches with a payload of 26 tons to low Earth orbit, compared to 20 tons using the Proton system. An additional benefit will be that the Angara uses kerosene as fuel and oxygen as the oxidiser, which is less hazardous to the environment than the toxic fuels used by older boosters. The total expenditure on the Kazakh side will be $223 million over 19 years. As of 2010, the project was stalling due to insufficient funding. It was thought that the project still had good chances to succeed because it will allow both parties – Russia and Kazakhstan – to continue the joint use of Baikonur even after the Vostochny Cosmodrome is commissioned. The first scheduled launch of the Baiterek Rocket and Space Complex is scheduled for 2025. Baikonur Cosmodrome has a small museum, next to two small cottages, once residences of Sergey Korolev and Yuri Gagarin. Both cottages are part of the museum complex and have been preserved. The museum is home to a collection of space artifacts. A restored test artifact from the Soviet Buran programme sits next to the museum entrance. 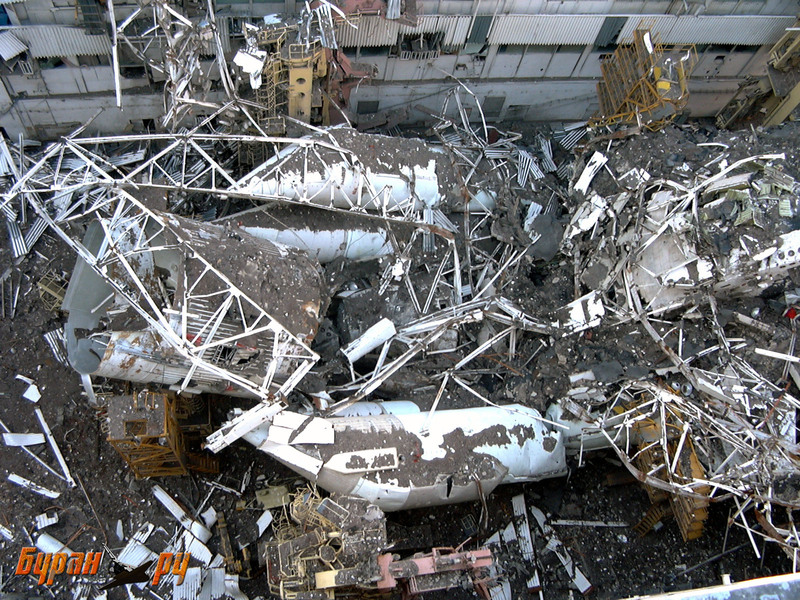 The vehicle that flew a single orbital test mission in 1988 was destroyed in a hangar collapse in 2002; For a complete list of Buran artifacts, see Buran (spacecraft). The museum also houses photographs related to the cosmodrome's history, including images of all cosmonauts. Every crew of every expedition launched from Baikonur leaves behind a signed crew photograph that is displayed behind the glass. Baikonur's museum holds many objects related to Gagarin, including the ground control panel from his flight, his uniforms, and soil from his landing site, preserved in a silver container. One of the museum rooms also holds an older version of the Soyuz descent capsule. In Star Trek: The Next Generation the Baikonur Cosmodrome was a Federation shipyard where the SS Tsiolkovsky was launched. In Command & Conquer: Generals, US and Chinese forces guard the facility against GLA attack. However, their failure allows the GLA to attack the world using MIRVs launched from this facility. In its expansion pack, Command & Conquer: Generals Zero Hour, US forces destroy the facility after the GLA attack in Northern Europe. In Call of Duty: Black Ops, this facility is featured as the main location of the mission "Executive Order", involving sabotage of the Soviet space program, and is the location of the multiplayer map "Launch" as well as the zombies map "Ascension". In Jormungand, in the final episode "Century of Shame", Koko and Valmet are at the cosmodrome with Kasper, Jonah, and Chiquita as Koko launches the final rocket. Much of The Big Bang Theory episode "The Countdown Reflection" takes place atop a rocket at the facility. In Destiny, the fictional Russian Federal Bureau of Aeronautics (РФБА) in "Old Russia" is based on the Baikonur Cosmodrome. Also, Old Russia, the first location in-game is based on the Cosmodrome. In Blue Gender, the Baikonur Cosmodrome is an important plot element, providing transportation back to Second Earth. Over a span of several episodes, the protagonists travel across Asia to Baikonur and attempt to board a space shuttle at the Cosmodrome. In the book Plague Ship by Clive Cussler, Juan Cabrillo relates how he had infiltrated the facility to sabotage a fictional Orbital Ballistic Projectile Weapon which was being launched on an Energia rocket. In the book Locked On by Tom Clancy, the Cosmodrome is seized by Dagestani terrorists under orders from rogue elements in the Pakistani ISI, threatening to destroy Moscow with stolen nuclear weapons in order to force the Russian government into granting Dagestan and Chechnya independence. In the game Rust, the monument "Launch Site" is heavily inspired by the Cosmodrome. The band Public Service Broadcasting mentions Baikonur in the song "Korolev" from the 2015 album Sputnik/Korolev. ^ "Baikonur Cosmodrome 45.9 N 63.3 E". FAS.org. Federation of American Scientists (FAS). Retrieved 19 July 2014. ^ "Baikonur cosmodrome celebrated 63rd anniversary". Dispatch News Desk. 3 June 2018. Retrieved 19 October 2018. ^ "Baikonur Cosmodrome". International Launch Services. ^ a b "Baikonur Cosmodrome". NASA. Retrieved 24 December 2011. ^ Wade, Mark. "R-7". Encyclopedia Astronautica. Archived from the original on 29 June 2011. Retrieved 4 July 2011. ^ a b Suvorov, Vladimir (1997). The first manned spaceflight: Russia's quest for space. Nova Publishers. pp. 16–17. ISBN 978-1-56072-402-5. ^ a b "The Partnership: A History of the Apollo-Soyuz Test Project". NASA. ^ "Group – Afanasiy Ilich Tobonov". Archived from the original on 23 July 2011. ^ Abdrazak, P. Kh; Musa, K. Sh (21 June 2015). "The impact of the cosmodrome "Baikonur" on the environment and human health". 8 (1): 26–29. Retrieved 2 August 2016 – via ijbch.kaznu.kz. ^ "GREEN WOMEN". Retrieved 2 August 2016. ^ Cooper, Paul (7 June 2018). "In Russia's Space Graveyard, Locals Scavenge Fallen Spacecraft for Profit". Discover. Retrieved 19 June 2018. ^ "Expedition 19". NASA. Archived from the original on 24 May 2011. Retrieved 9 June 2011. ^ "Kazakhstan Finally Ratifies Baikonur Rental Deal With Russia". spacedaily.com. 12 April 2010. ^ "Kazcosmos chief Talgat Musabaev: Baikonur is Still the Core of Kazakh-Russian Cooperation in Space". interfax.kz. February 2008. ^ "Russian Craft Docks at International Space Station". Radio Free Europe. Retrieved 24 December 2011. ^ Curry, John (8 October 2002). "Mission Control Answers Your Questions: Why is the space station in a 51.6-degree inclined orbit instead of something less or something more?". spaceflight.nasa.gov. National Aeronautics and Space Administration. Retrieved 28 March 2017. ^ "Energia-Buran processing complex at Site 112 and 112A". Archived from the original on 6 July 2015. Retrieved 2 August 2016. ^ "Buran The end". Retrieved 2 August 2016. ^ "Buran landing facility at Site 251 in Baikonur". Archived from the original on 25 February 2015. Retrieved 2 August 2016. ^ "UAON pilot info @ OurAirports". Retrieved 2 August 2016. ^ "Buran processing facility at Site 254 in Baikonur". Archived from the original on 9 August 2015. Retrieved 2 August 2016. ^ "Russia test-fires old missile to extend lifespan". Reuters. 22 October 2008. ^ ""Baiterek" Space Launch Complex". Khrunichev State Research and Production Space Center. Archived from the original on 30 June 2006. 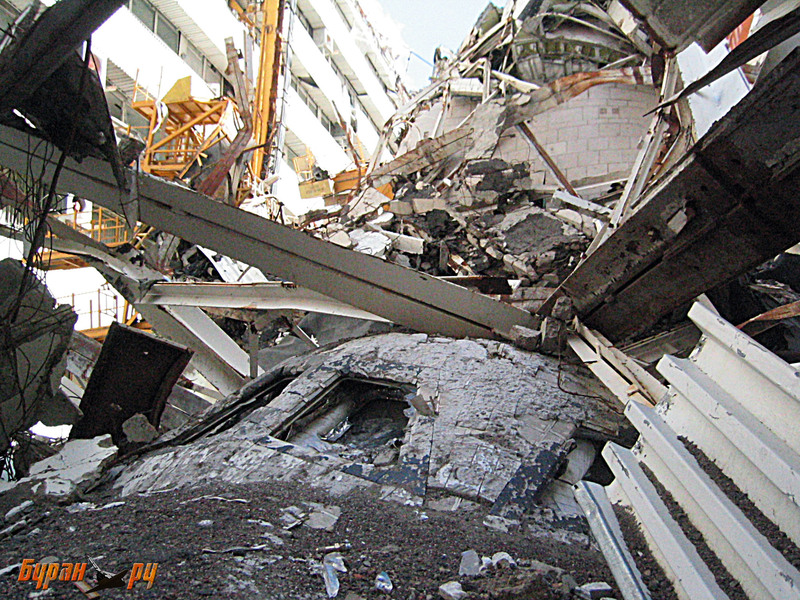 Retrieved 10 May 2006. ^ "Kazakh President Signs Law Re Baiterek Rocket Center". www.spacedaily.com. 24 October 2005. Retrieved 5 August 2015. ^ Vorontsov, Dmitri; Igor Afanasyev (10 November 2009). "Angara getting ready for launch". Russia CIS Observer. 3 (26). Archived from the original on 1 January 2010. Retrieved 3 January 2010. ^ "Baiterek Rocket and Space Complex set to launch in 2025". The Astana Times. ^ Whitehouse, David (13 May 2002). "Russia's space dreams abandoned". bbc.co.uk. BBC. Retrieved 14 November 2007. Wikimedia Commons has media related to Baikonur Cosmodrome. Baikonur Cosmodrome historical note (in Russian) and historical pictures (2002) on buran.ru – NPO Molniya, maker of Russian space shuttle Buran.